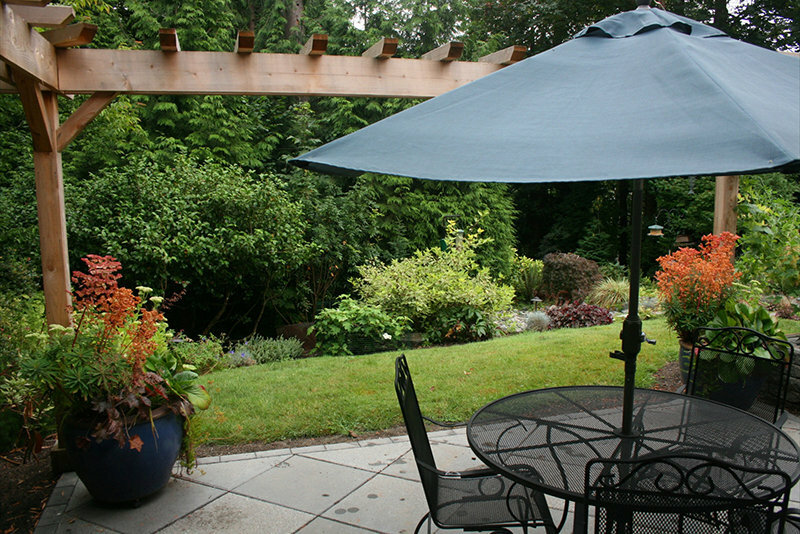 This home backs a greenbelt and is close to the noise of a busy freeway I-90. 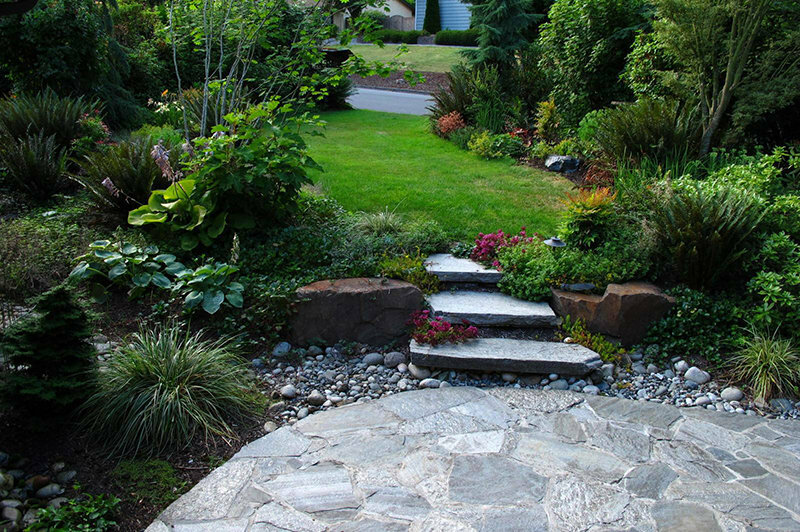 The homeowners are avid birders and wanted to increase their habitat, drown out the freeway noise and have a beautiful privacy screens. 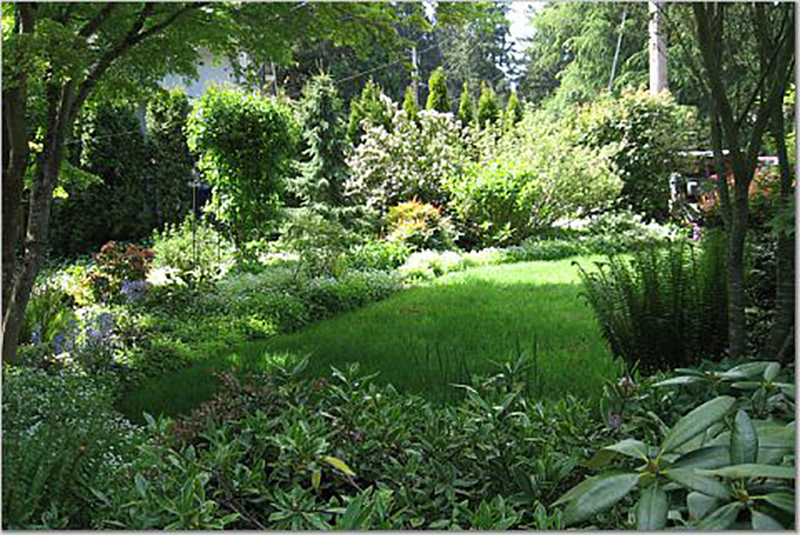 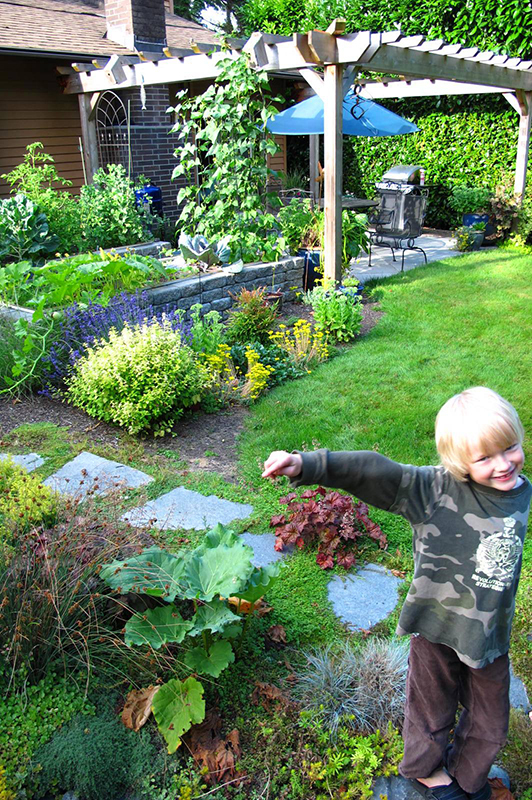 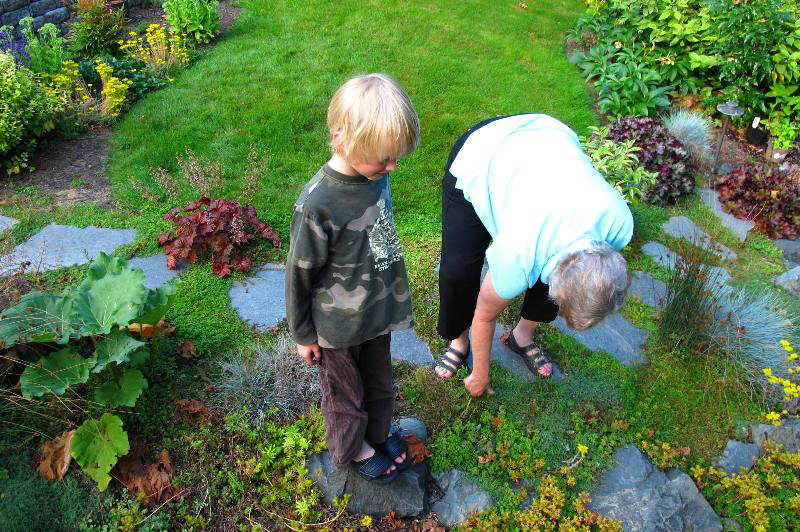 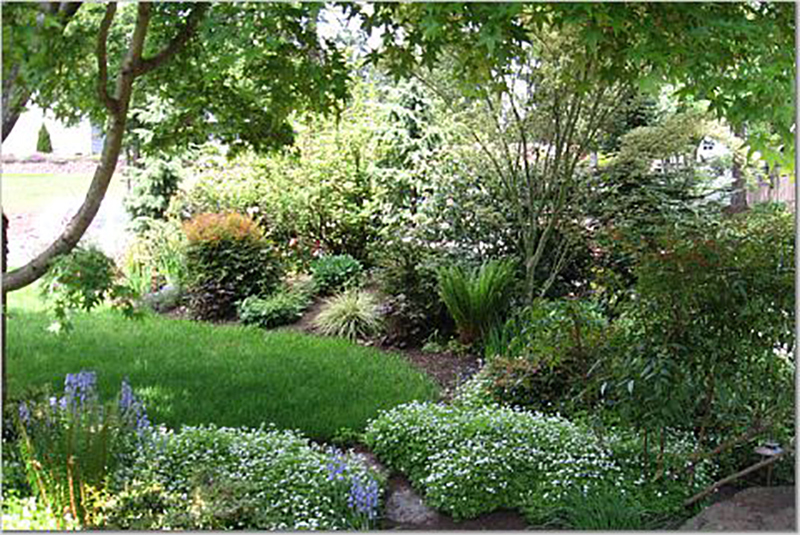 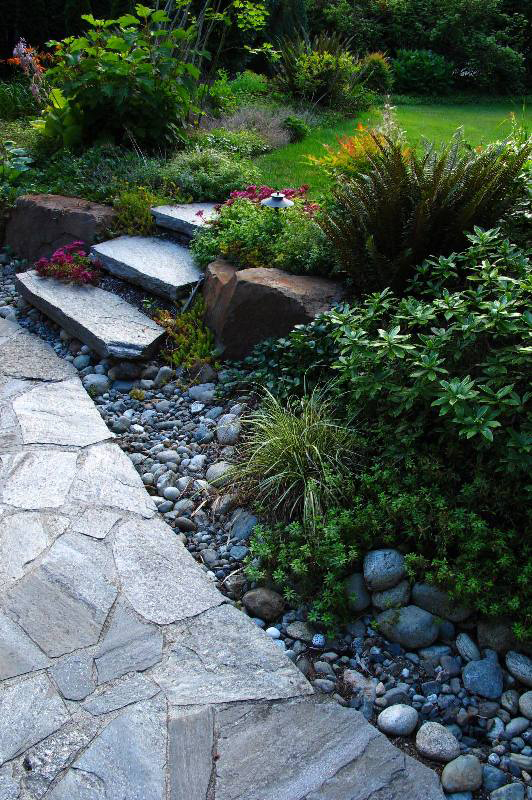 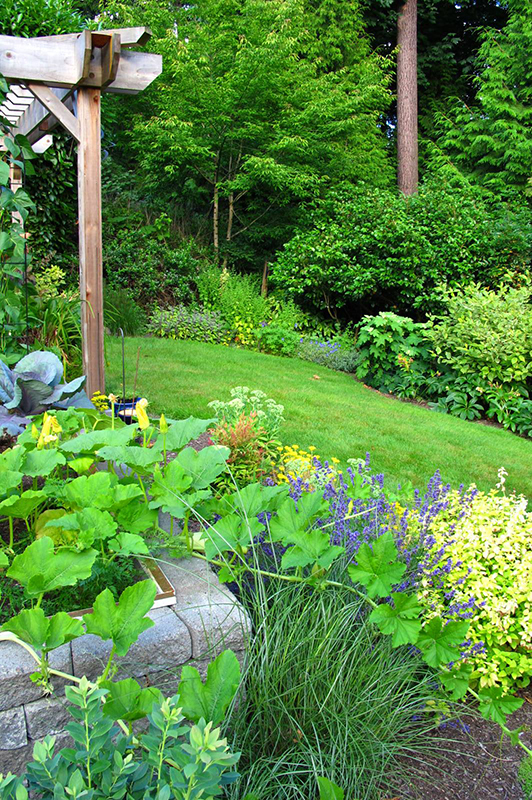 The front yard includes a mixed shrub border with an emphasis on habitat and seasonal interest. 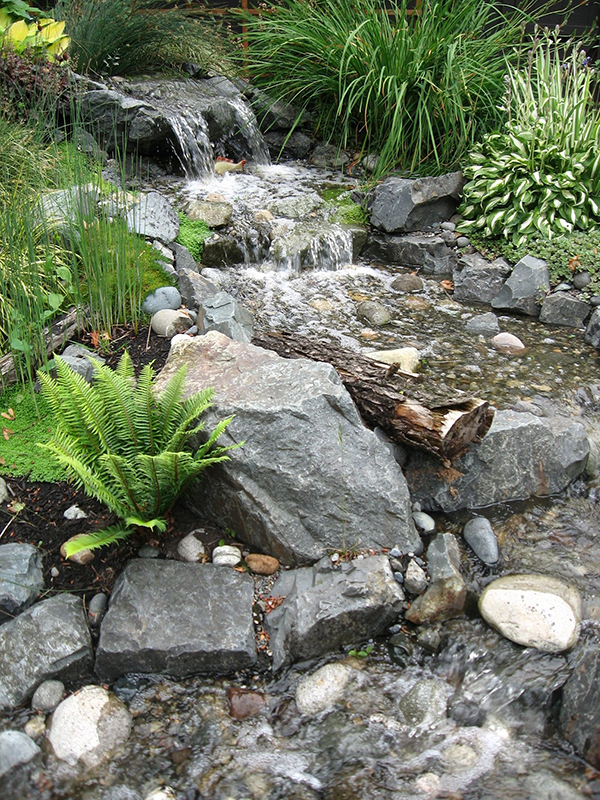 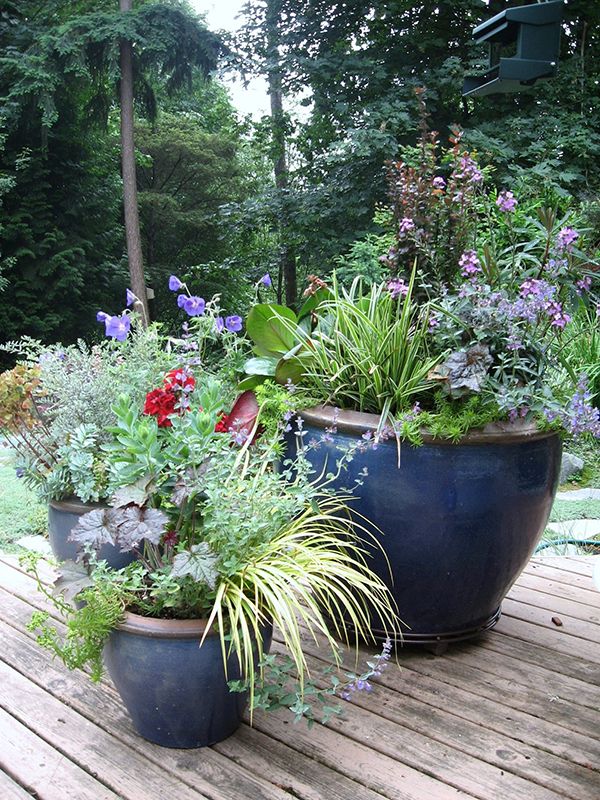 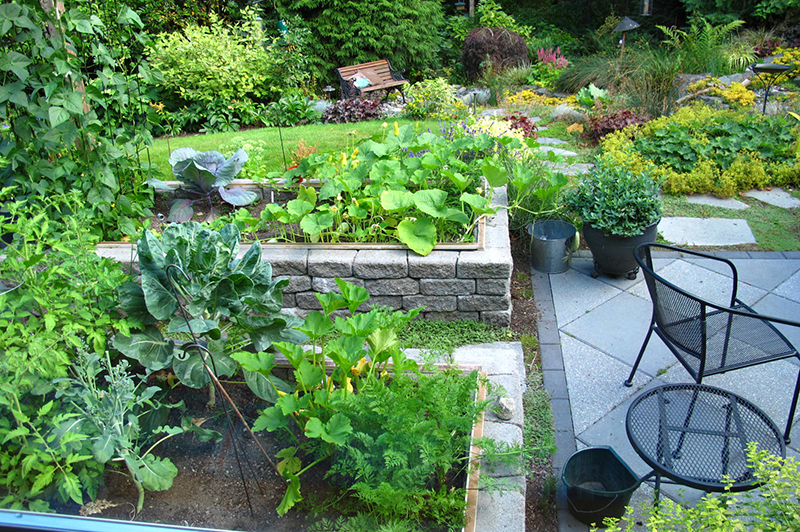 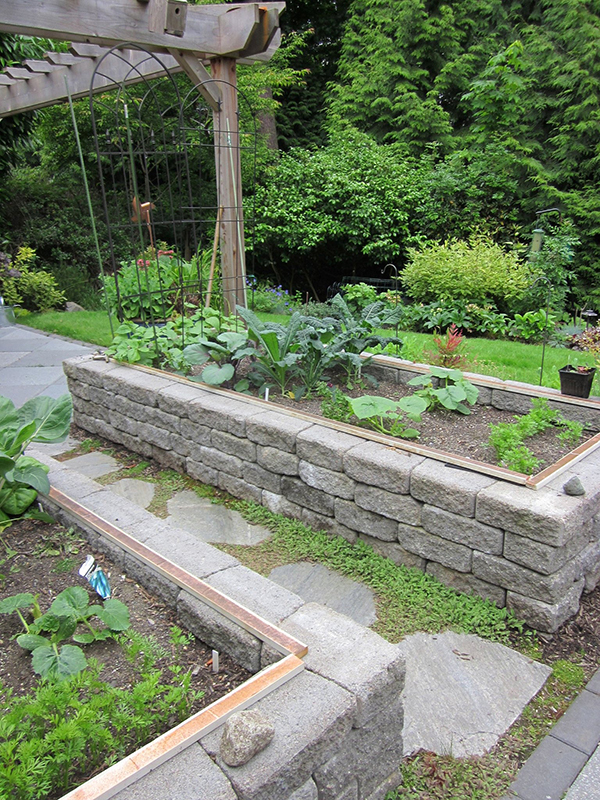 The backyard includes a pondless stream, raised vegetable beds and a large entertainment space for summer BBQs.